How to Download YouTube to MP2 or Convert FLV to MP2? Ever wonder how to convert YouTube to MP2 like download YouTube to MP2 or convert downloaded YouTube to MP2? If so, you come to the right place! The article will introduce a professional YouTube to MP2 Converter as well as describe a step by step guide on how to download and convert YouTube to MP2. 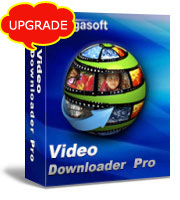 Besides acting as a powerful online video downloader and converter, Bigasoft Video Downloader Pro is also a professional YouTube to MP2 converter and downloader. It can batch download YouTube and other web movies and music video to MP2 with fast speed and great output audio quality. It also helps to convert already downloaded YouTube files and other media files like FLV, MP4, WebM, AVI, WMV, MOV, MKV and etc to MP2. Convert YouTube to other audio format like YouTube to MP3, WAV, WMA, AC3, AIFF, M4A, RA, AU, OGG, FLAC and etc. Extract MP2 from other popular video sites like Facebook, Google Videos, Metacafe, eHow, Vimeo, MTV, BBC, Dailymotion, etc. 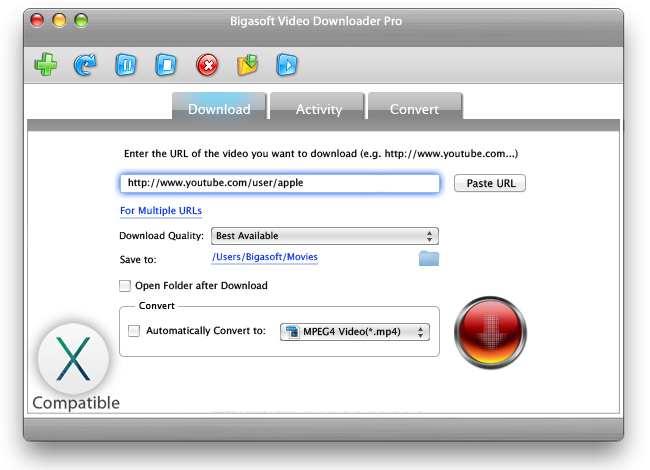 Free download the best YouTube MP2 Converter - Bigasoft Video Downloader Pro (for Mac, for Windows), install and launch it. 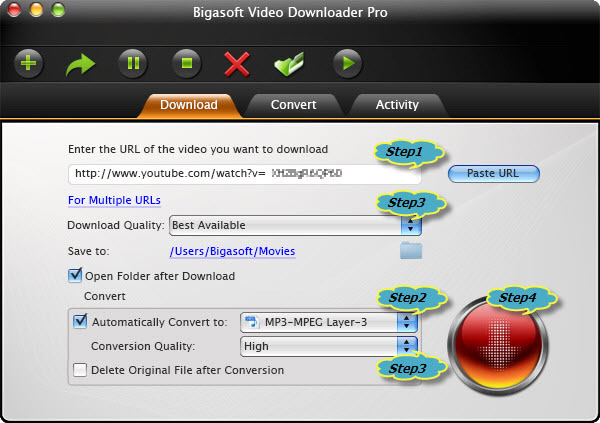 Search for the YouTube video which you like to convert to MP2, and then copy the link for that video, the URL will be automatically pasted to the URL box of Bigasoft Video Downloader Pro. Click the format drop-down menu to select "MP2-MPEG Layer-2 Audio(*.mp2) from "General Audio" category as output audio format. Click "Download Quality" drop-down menu to select download quality, usually we choose "Best Available"
Click "Conversion Quality" drop-down menu to select output conversion quality, the lower the output quality, the smaller the output audio file size.